Before Hurricane Harvey slammed the coast of Texas, another grave threat loomed in the Atlantic. Irma would soon become the “strongest Atlantic basin hurricane ever recorded” outside the Gulf of Mexico and the Caribbean Sea. For three days, it remained a Category 5 behemoth before it struck Florida as a Category 4. No storm has ever maintained winds of 185 miles-per-hour for as long as Irma—thirty-seven hours. Millions of people were evacuated and lost power in Florida, while some of the Caribbean islands suffered the loss of more than 90 percent of structures. 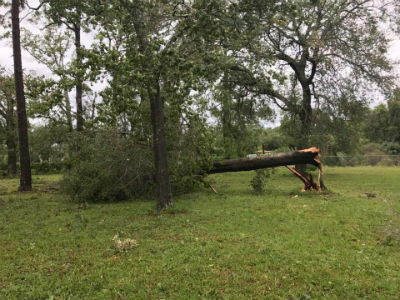 Our Church of God university in Florida, Warner, had to cancel classes for more than a week and sustained some structural damage, as did some of our churches. From Puerto Rico to Cuba to Florida, Hurricane Irma claimed life and livelihood. Because of the numerous crises composing the headlines in recent weeks, the world is growing-disaster weary. But we cannot ignore our brothers and sisters in need. In light of new information available in the wake of Hurricane Irma, your help is requested now more than ever. As of Friday, September 15, Florida Church of God Ministries had heard from over half of the Church of God congregations in Florida. Most of these churches reported only minor damage. Still, some churches, such as The Church at Bradenton, in Bradenton, Florida, were dealt a more serious blow, including roofs destroyed by wind and flooding. 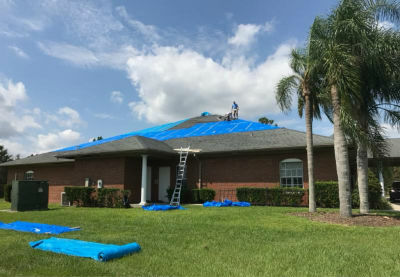 Through their Facebook page, the congregation explained last week that they would have to “extract the water from inside” and “get tarps on the roof.” Florida Ministries reminded the Church of God on Friday to “not forget the forty-six churches that have not been able to report their losses.” For more information on donations of time and resources, or how to help a specific church, contact Florida Ministries at office@flcog.org or call 407-737-7633. 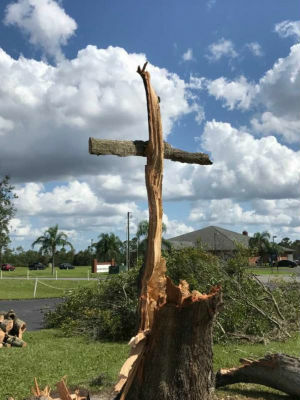 One of many snapped trees post-Hurricane Irma (Credit: New Journey Church, Jacksonville, FL). Before the storm’s fury reached Florida, it left a swath of devastation through the Caribbean. The U.S. Virgin Islands were hit very hard, leaving behind damage at the Church of God and parsonage of Pastor Neville Williams on St. Thomas. Technology was especially hard hit, as communication infrastructure may not be restored for a few more months. While the Dominican Republic and Haiti received some damage, including the Church of God hospital in St. Ard, the greatest concern is the possibility of post-storm illnesses. We praise the Lord for our missionaries and church leaders on the ground who risk their lives for the good of others. We also thank God that, to this point, we have not heard reports of loss of life among our congregations. Roof damage at Warner University. With your help, the Church of God in Florida and the Caribbean will indeed come out stronger than ever. Help now at give.jesusisthesubject.org/disasterrelief. This entry was posted in All Church of God, Church of God Ministries, Colleges & Universities, Disaster Relief, Southeast and tagged aid, Bradenton, Caribbean, Cuba, David Hoag, Disaster Relief, Dominican Republic, FL, Florida, Florida Church of God Ministries, Florida Ministries, Haiti, humanitarian, Hurricane Irma, Puerto Rico, St. Thomas, storm damage, U.S. Virgin Islands, Warner University. Bookmark the permalink.